Swimming Pool Builder Lincoln, Nebraska. Our name says it all. 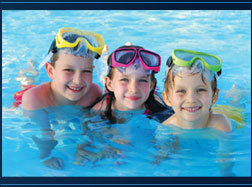 Pool Designs is a company that specializes in building swimming pools with exceptional customer service. From affordable pool designs to extravagant custom pool designs, we can provide you with a swimming pool that fits your lifestyle and budget. We design and build pools for residential buyers in the Lincoln, Nebraska City and Fremont areas. Pool Designs will make it easy to get what you want, by starting with great designs and following through in an organized and professional process. We have the styles you want, the quality you need and the knowledge to make it all happen. Swimming Pool Builder Nebraska. Beautiful Images and Great Ideas. Check out Pool Designs stunning ONLINE BROCHURE filled with great pool design ideas and facts we know you will love! It's easy to view by clicking, Cool Pool Ideas & Facts.